When they're not devoting important hours to proving the five-second rule, scientists are finding new, inventive ways to explain why you dine the way you do. Through studies involving coke-addled rats and marked-up wines, they've found all sorts of reasons for your bizarre food habits. Remember: it's not your fault you ate a sleeve of Oreos. It's your brain's! Thanks for telling us what we already knew, science! 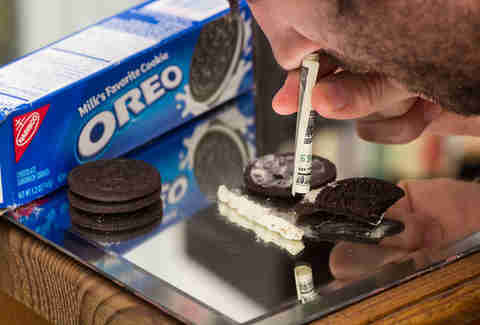 Just last year, a team at Connecticut College got a bunch of lab rats, Oreos, and cocaine, and set off for Vegas. Actually, they set up two mazes. The first maze had Oreos at one end and rice cakes on the other; the second promised an injection of saline on one side and an injection of morphine/cocaine at the other. After they had received their prize, the rats could choose to linger as long as they liked, presumably in the hopes of seconds they would never get. Turns out the rodents waited just as desperately around the Oreo den as they did the coke one, squeaking angrily about their jerk dealers in between twitches. Loud music makes people drink faster According to Professor Nicolas Gueguen, cranking the bar's jukebox will make everyone pound their brews quicker. Gueguen and his colleagues observed patrons of French bars drinking at a normal volume of 72dB versus a louder 88dB over three Saturday nights. They found that people drank an 8oz glass of beer an average three minutes faster under the higher volume setting, and even faster than that if the bar was playing Nickelback. No one wants to order the same thing You know when you're out to dinner with friends, and all you want is the burger, but Karen just ordered it, so now you're ordering a chicken fajita wrap you don't even like? You aren't the only weirdo who does this, according to a pair of studies from 2000. In the first "lunch study", the team found that people will sacrifice their own taste preferences to increase the group's order variety. In the second "beer study", the guys discovered that people did the same thing when offered a choice of four beers -- but not if they could sneakily place their order on a card. That was when people got real and unoriginal, so consider slipping your waiter a handwritten note the next time Karen steals your thunder. This snooty phenomenon has been documented a number of times, but let's go back to those mavericks at Stanford for easy reference. 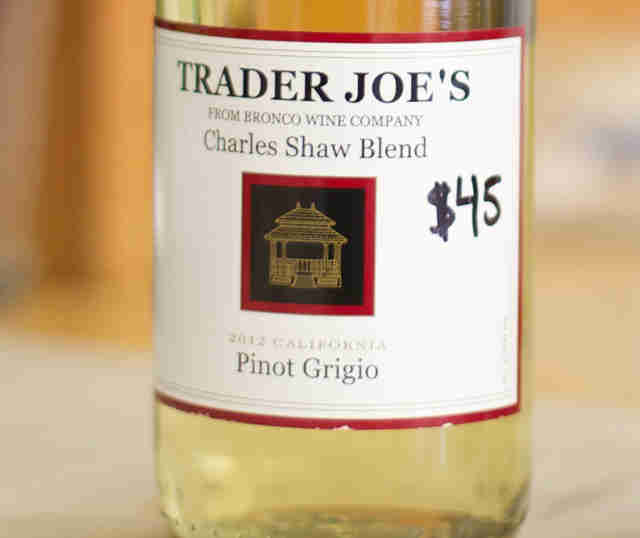 According to their 2008 study, you can give a person the exact same wine, only if you say it cost $45 instead of $5, they'll enjoy it more. Which means all it takes is a little lying to get your dinner party guests drinking Two-Buck Chuck. Pepsi will always win blind taste-tests What started out as a staged marketing "study" in the '70s turned into an actual, proven conclusion: when presented with brandless cups of cola, even the Coke diehards will usually choose Pepsi. (We would know, we tried it ourselves.) Researchers not affiliated with Pepsi have since determined that's because of the soda's supreme sweetness, which, in one sip, tends to beat out its less saccharine peers. 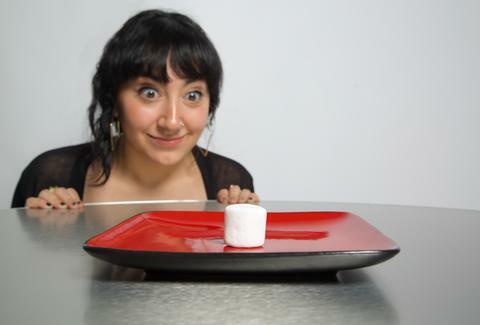 Kristin Hunt is a food/drink staff writer for Thrillist and cannot confidently say that she would've refused the first marshmallow as a 4-year-old. Or a 24-year-old. Follow her at @kristin_hunt.